What is a Linoleum Knife? Linoleum knives are used to trim tiles or sheets of linoleum. A linoleum knife is a tool that is normally used in cutting building materials, like linoleum, vinyl, or thin sheets of wood paneling. It typically has a blade that is somewhat curved on the end in order to cut different angles. It usually has a short, round-shaped wooden handle, which may sometimes be covered with vinyl or rubber to help a user grip it. The blade of this knife is often fairly short and manufactured of carbon steel. It may be shaped somewhat like the letter C. The tip of this section is normally pointed and extremely sharp, as are the outer edges. For this reason, it should be used with caution and kept away from small children. The length of a linoleum knife is typically around 11 inches (27.94 cm). It may be around 5 inches (12.7 cm ) wide, and 1-1/2 inches (3.81 cm) thick. It is normally very lightweight, weighing approximately .29 pounds (.1 kg). People who need to trim building materials using a linoleum knife may want to carefully measure the work area first. They can then draw the line to be cut with a carpenter's pencil. In order to make an incision, the tip of the blade should be placed on the line and then drawn across it to score the piece, which can then be folded and broken. If cutting thin pieces of material, this blade may be used to slice completely through it, rather than scoring. Some of the materials that may be cut with a linoleum knife include sheets of vinyl or linoleum flooring, wood paneling, or vinyl tile. It should not be used to trim thick materials like drywall, plywood, or ceramic tile. Doing so might cause the user to lose control of the knife, causing serious injury. It might also damage the blade and make it unsuitable for its intended use. A linoleum knife normally makes a clean cut, without any jagged edges or burs. This is due in part to the sharpness of the blade and its angle. This tool normally does not need to be sharpened often, but this can be done with a sharpening stone if it stops making smooth cuts. People who are considering changing the look of their homes by adding a vinyl floor might want to consider using a linoleum knife to help them complete this project. This tool can make cutting the material fast and easy. It is normally an inexpensive item that can be purchased at many home improvement or hardware stores. What are the Advantages of a Sheet Vinyl Floor? 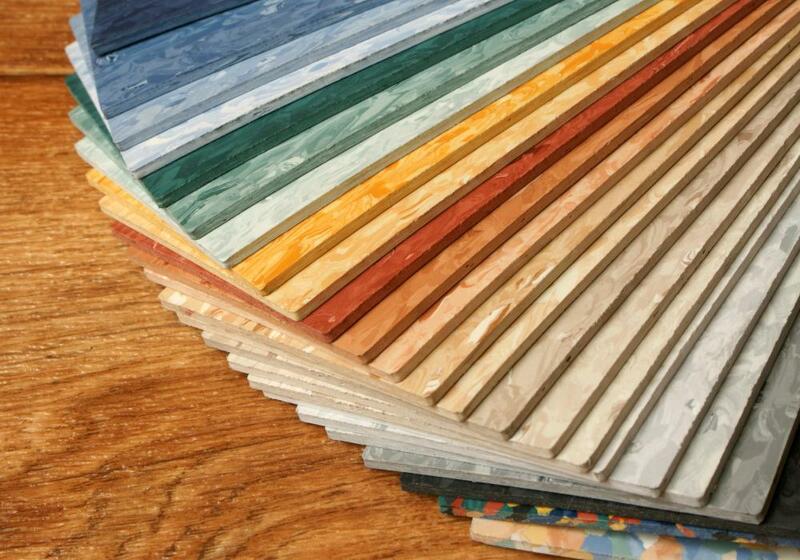 How do I Choose the Best Vinyl Sheet Flooring? How do I Install Linoleum? What is a Linoleum Floor?